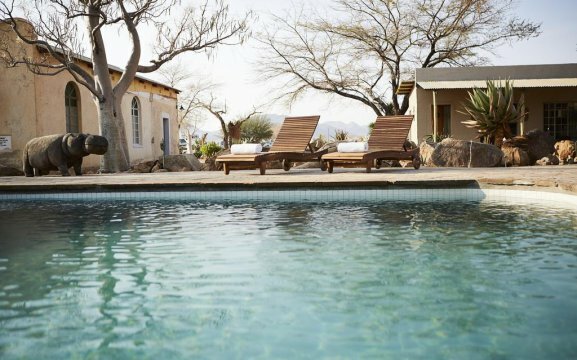 The Solitaire Lodge is situated in a historic settlement on the edge of the Namib Naukluft Park. 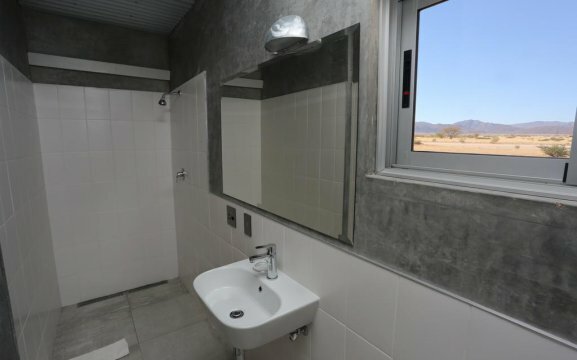 It offers a swimming pool, on-site restaurant with open fireplace, braai facilities, shops and a service station close-by. In Solitaire guests will find a service station with post office and a place that repairs tyres, a small coffee shop and bakery. Our Café van der Lee offers delicious bistro-style lunch and dinner, served with fine South African wines, salads and sandwiches, burger, steak and fish & chips. Solitaire Lodge also have a bar with a large selection of bottled beers. The McGregor’s Bakery serves fresh apple pie and a large selection of cakes, muffins, cookies, fresh breads and homemade meat pies for the road. 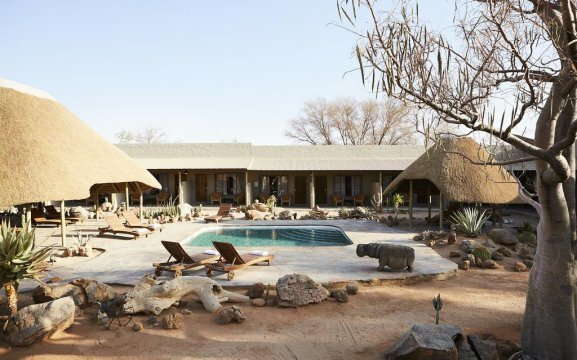 Solitaire Lodge offers 25 spacious rooms in the beautiful desert with thatched lapas. Each room features air-conditioning, two double beds, en-suite bathroom with shower, lounge, tea/coffee facilities and free Wi-Fi. 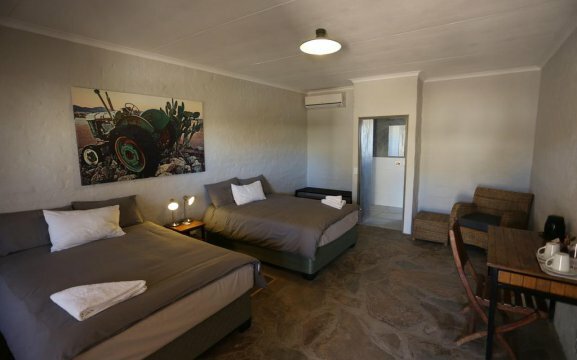 We have two family rooms with two additional twin beds. 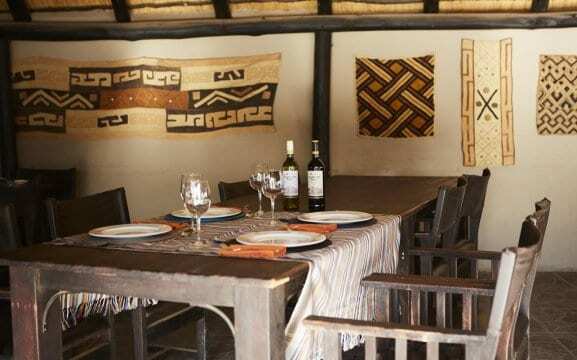 All rooms have stone floors and bedsheets with leopard prints to give an African touch. Activities in Solitaire include hiking trails, nature drives, cheetah tracking safari and much more. On our nature drives you will see rich in free-roaming wildlife such as oryx, springbok, kudu, mountain zebra, cheetah, leopard and aardwolf. 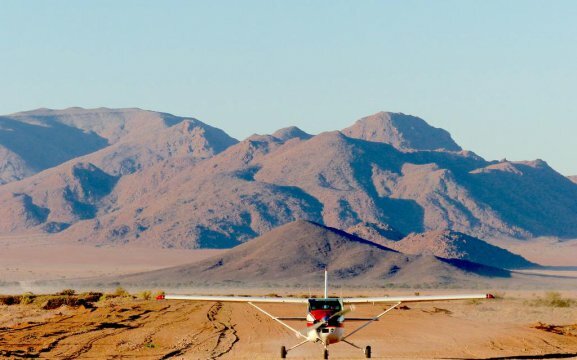 You can also visit the spectacular Spreetshoogte Pass, Sossusvlei Dunes and Kuiseb Canyon. 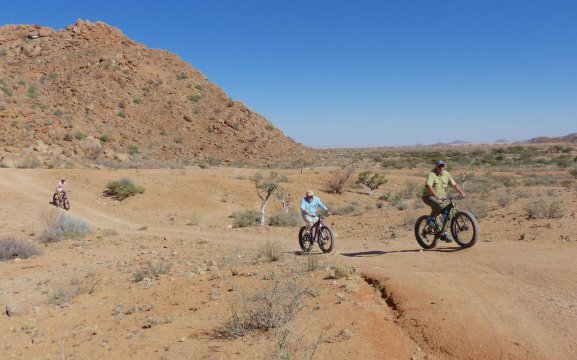 We have scenic sundowner trips in a classic Land Rover in the Namib Desert where you will be witnessing our beautiful Namibian sunset with a refreshing drink and snacks. 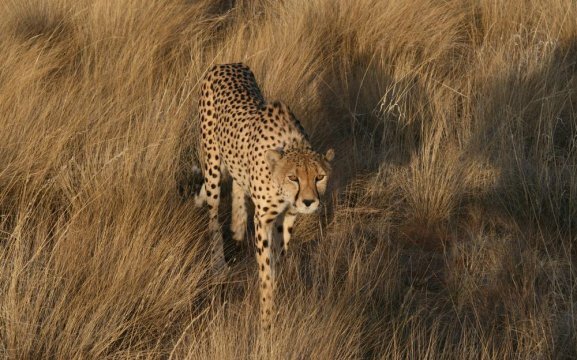 The cheetah sanctuary is very popular, an isolated 1,265 acre enclosed, to raise cheetahs that cannot survive in the wild and are led by wildlife biologists specialising in cheetah conservation.